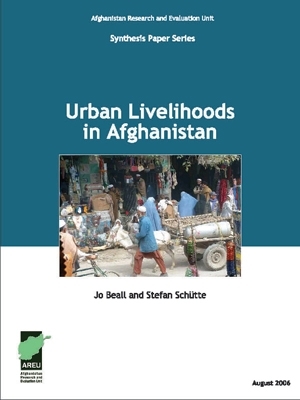 This synthesis report draws out the main findings and recommendations from five case studies on urban poverty in Kabul, Herat, Mazar-i-Sharif, Jalalabad and Pul-i-Khumri. The report examines livelihood strategies, assets and crisis management over time in a set of households in each of these cities. It calls on the Afghan government to implement long-term strategies for economic growth that would create more jobs with regular income, and draws attention to the uneven thrust of national assistance—focused more on poverty-reduction initiatives in the rural communities—and the need to expand programmes to urban areas.